Handsome Tours is proud to announce headline shows from Sam Beam aka Iron & Wine, who brings his soul-infused folk rock to Australian shores with his full band this May/June. Through the course of six studio albums, numerous EPs and singles, Iron & Wine has captured the emotion and imagination of listeners with distinctly cinematic songs. With a live band featuring acoustic guitars, percussion, keys, cello, and bass, Iron & Wine’s music has been compared to that of Nick Drake, Jackson Browne, Elliott Smith and Neil Young. Over 15 years since his bedroom folk breakthrough The Creek Drank the Cradle and his scene-stealing cover of Such Great Heights in Garden State, Sam Beam will now lead a full band as Iron & Wine, taking to the stage for an expansive journey through his rustic masterpiece The Shepherd’s Dog, the chart-topping Kiss Each Other Clean, r ‘n’ b inflected Ghost on Ghostand 2017’s reflective Grammy-nominated album Beast Epic. From haunting, stripped-back performances alongside Glen Hansard to more panoramic collaborations with the likes of the Mariachi-wielding Calexico, Beam has rewritten his nom de plume as a sonic shape shifter ever-anchored by his signature high tenor voice – handpicked and introduced to millions by Kristen Stewart as the slow-dance soundtrack to Twilight. 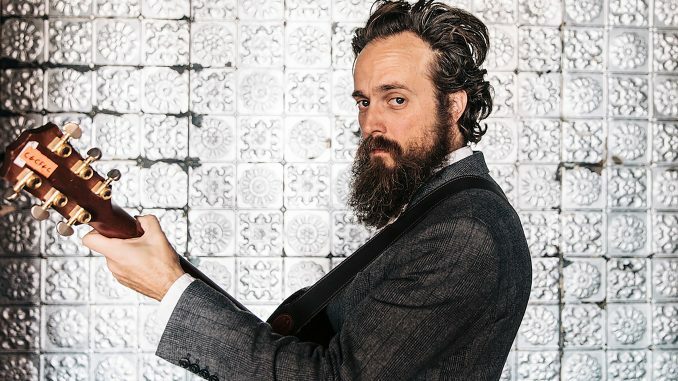 Taking place in premier venues around the counts, the glorious folk music of Iron & Wine is not to be missed, live in concert this May/June.